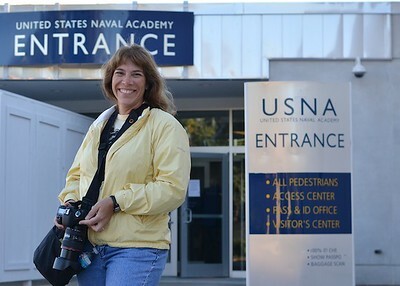 Emily Carter Mitchell is an award winning and published nature and wildlife photographer based in Annapolis, Maryland. Through her work Nature as Art she brings a creative interpretation of the natural world around us bringing a sense of serenity in a world increasingly filled with chaos. There is a sense of stillness and ethereal attributes in her images that has one see beyond what is first obvious. With a corporate background in Human Resources and extensive years in the travel and hospitality industry, she holds a Master’s Degree in Global Management. Her photographic journey began when she was a teenager and has always enjoyed photography as a way to capture the world around her. Emily’s passion of photography is shared with others through her nature and wildlife photography classes for Capital Photography Center based in the Metro DC area. Emily is a fantastic instructor - I learned so much from her. I can't wait until my next class with her. I enjoyed the class, lecture and practice time very much. I appreciated the one-on-one time with Emily, and her sharing tips/considerations for composing my shots. Emily is very talented, and communicates very effectively. A wonderful instructor, lots of tips shared with the group and with us individually. Very friendly and outgoing--the best! I particularly liked the group size (max 8). It made it easier to ask Emily questions. Also Emily was really taking care she was giving all time to review photos, give suggestions, etc. It was super helpful to have the instructor give one-on-one assistance with set-up and settings. Emily also reviewed our images and was so encouraging. Emily was beyond amazing and very knowledgeable! I love her class and would love to take another with her! Emily had already scouted a half-dozen places for our shooting and was always ready to help with my use of the equipment as well as composition. I appreciated her willingness to assist each of us. Emily was great -- I hadn't met her before. She spent her time making sure we were getting good shots -- gave us a "shot list," and then twice came around and reviewed our shots and settings and offered advice. Very hands-on, didn't spend class time shooting her own stuff. Super nice and knows her stuff, and had done appropriate advance scouting of the location and meet-up point. Worth the drive and sitting in the cold. Will recommend her to others. Thanks for adding this to the class lineup! I really enjoyed this class.